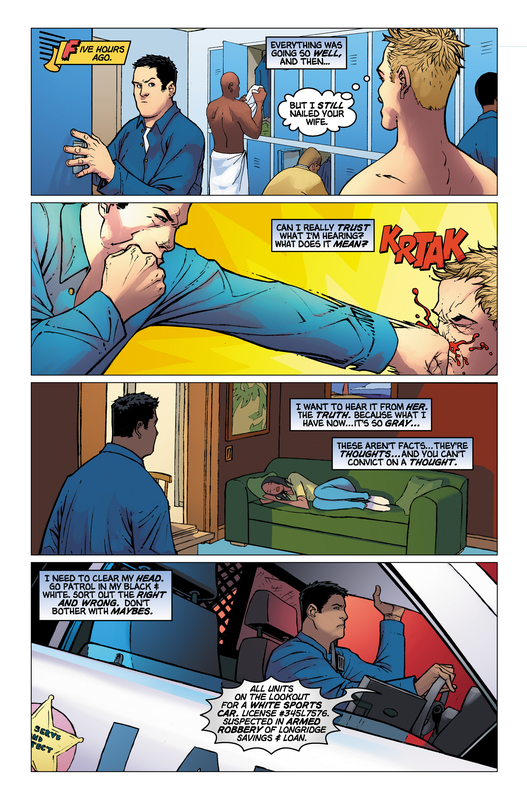 After Matt Parkman punches his partner Tom McHenry for having an affair with his wife, he finds himself questioning his reaction: is it fair to rush to judgment based solely on a stray overheard thought? He decides to go on patrol in his car to blow off steam. 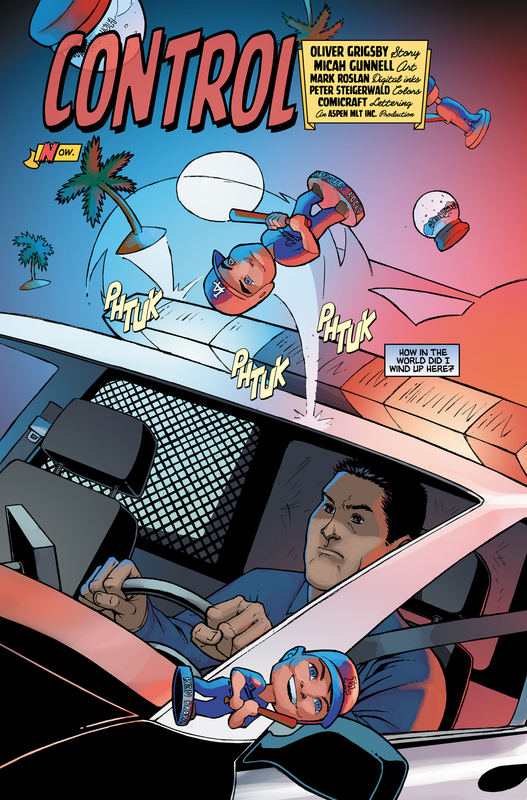 He hears a dispatch for a suspect fleeing an armed robbery and begins pursuit. 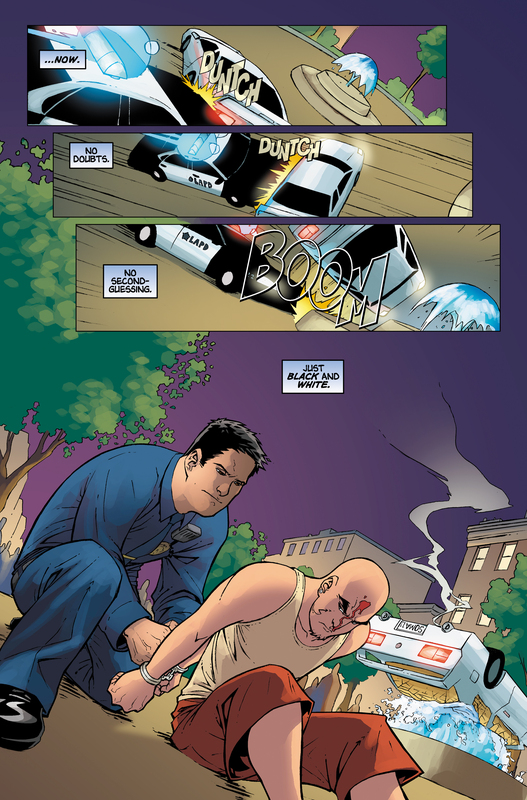 The other driver tries to lose him by driving in a park, and then by driving through a pedestrian-only promenade, but Matt secretly uses his powers to avoid pedestrians and to anticipate the suspect's moves, eventually T-boning the suspect's car and arresting him. The armed robber is reported to drive a white sports car with license #345L7576. 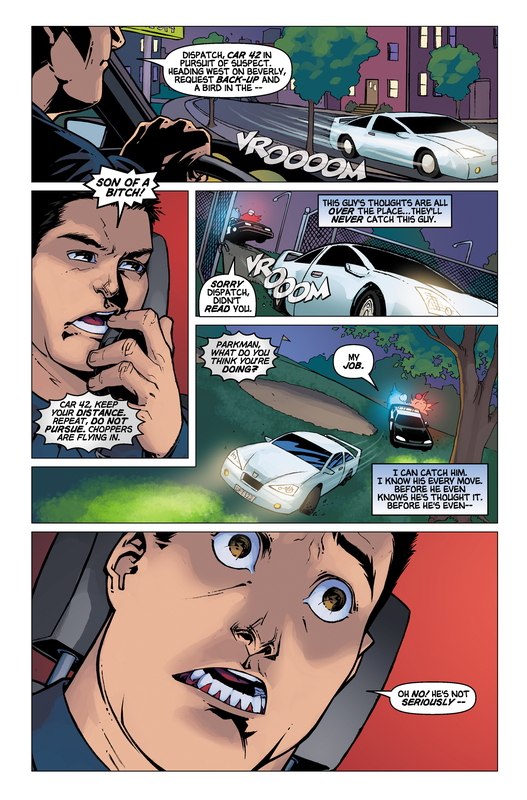 However, the white sports car that Matt catches has license plates that read "DFT122" as he's chasing it, and "SOMA11" after he catches the armed robber. The word "soma" is frequently concealed in the art of Micah Gunnell. At Grove Promenade, Matt runs into some bobbleheads of LA Dodgers named Andy Stacey and Ken Brown. In an interview, Micah Gunnell said that these are not real baseball players, they are Micah's friends. 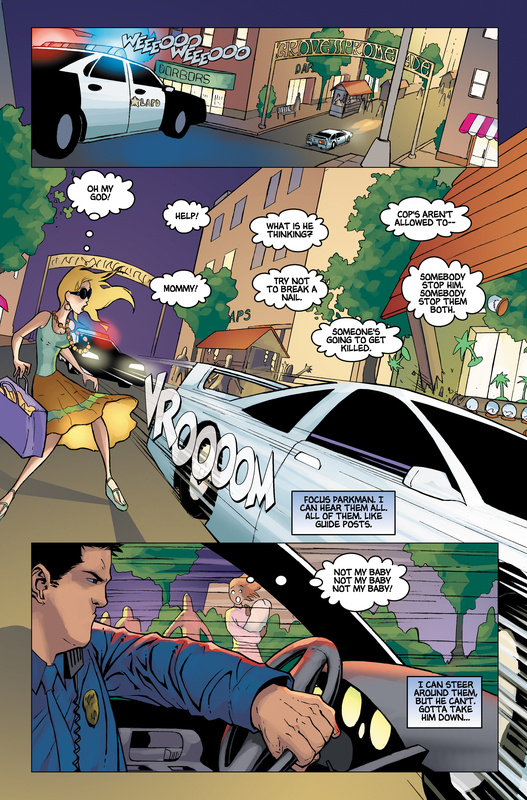 When Matt is driving through Grove Promenade, he reads the thought "Try not to break a nail", a direct quote from, and possibly a reference to the previous graphic novel, Stolen Time. 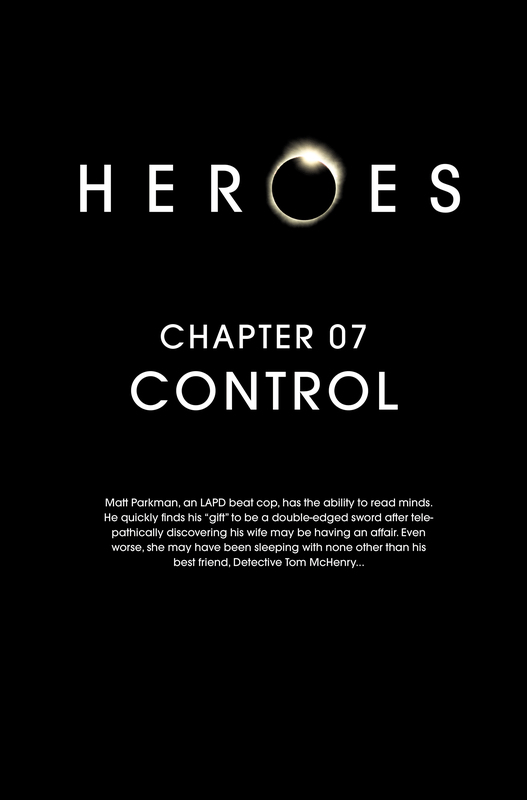 Control continues a storyline from Nothing to Hide as it tells what happened after Matt punched Tom McHenry. For images from Control, see images from Control. 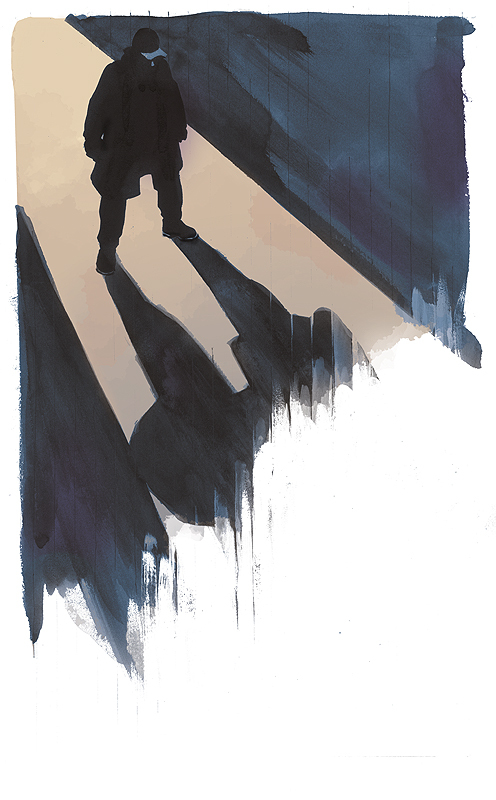 For an interview in which Micah Gunnell discusses Control, see here. This page was last modified on 19 October 2015, at 06:55.